Self inking rubber stamps and heavy duty self inking stamps are a great solution for all your office and home stamping needs. 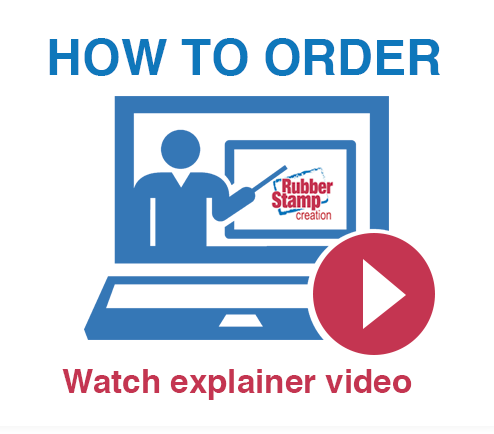 All rubber stamps are equipped with a built-in ink pad that lasts for thousands of impressions. 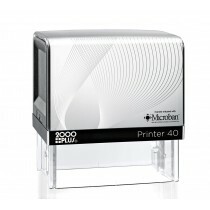 With self inking stamps, the ink will never fade, making it ideal for repetitive use. 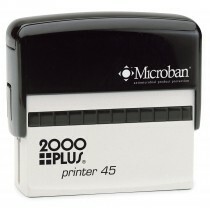 All self inking rubber stamps can be customized with texts or logos no extra charge! Choose from a vast selection of clip art from our image library or upload your own artwork. Available with many ink colors. Size: 13/16" x 2-1/4" (H x W) - up to five (5) lines of text. Size: 7/8" x 2-3/8" (H x W) - up to five (5) lines of text. Size: 1" x 3-1/4" (H x W) - p to five (5) lines of text. Size: 15/16" x 2-11/16" (H x W) - up to five (5) lines of text. Size: 1" x 3-1/4" (H x W) - up to five (5) lines of text. Size: 2" Diameter - up to five (5) lines of text (2 top arches, 2 bottom arches, and 1 middle line). Size: 1-5/8" Diameter - up to five (5) lines of text (2 top arches, 2 bottom arches, and 1 middle line). Size: 1-1/4" Diameter - up to five (5) lines of text (2 top arches, 2 bottom arches, and 1 middle line). Size: 1-3/4" Diameter - up to five (5) lines of text (2 top arches, 2 bottom arches, and 1 middle line). Size: 13/16" x 2-1/4" (H x W) -up to five (5) lines of text.